Greetings Fellow SHS Class of '69 Classmates! Did we ever think we'd make it this far? On this website you'll find information about Reunion events, a reservation form so you can let us know you'll join us, information requested to let your classmates know about you in the Reunion Book, and much more. We ask that you help us find classmates by looking over the "Where Is? . . . ." page. You may mourn with us the loss of classmates listed on the "In Memoriam" page. And you can contact others in the class on the "General Messages" page. Welcome to the Website for the Southport High School Class of 1969! 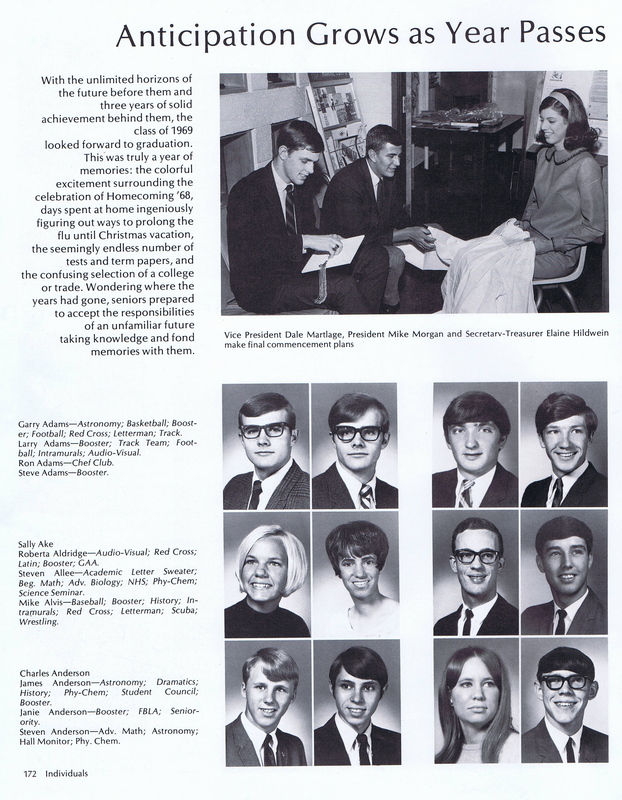 See All of Our 1969 Senior Class Pictures on this Website! If you have any pictures to share, let us know - we'll get them online, too.